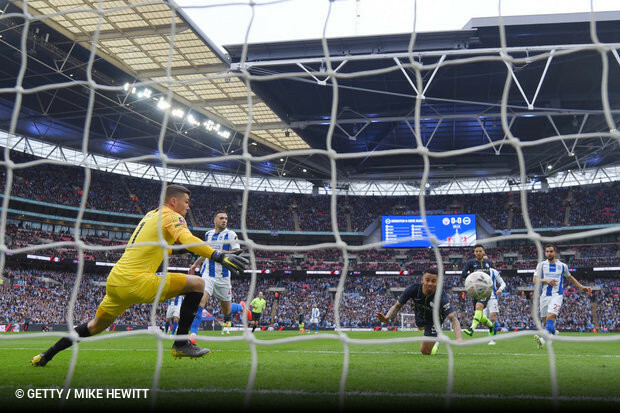 Manchester City took a step closer to an unprecedented quadruple on Saturday, edging past Brighton and into the FA Cup final with a 1-0 win at Wembley. Chris Hughton: "I am incredibly proud. After conceding after three minutes I don't think there was anyone in the stadium that thought the second wasn't going to come. We hung in and to go through the 90 minutes and, apart from the goal, I struggle to think of a real clear chance. That wouldn't have happened often. if at all, to them this season." Pep Guardiola: "It was a semi-final, Brighton are an incredible defensive team, we knew that set pieces were huge, massive. We conceded too many but only one dangerous situation. We are in the final, we are there."